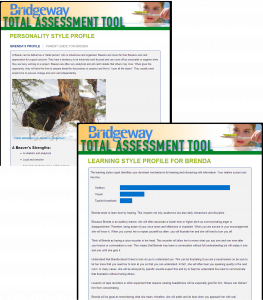 The assessments in this tool provide insight into each student’s learning style. You may have completed the assessment as part of the enrollment process. If you did not, and you find your student is struggling, it may be helpful to complete the assessment and review it with your advisor. 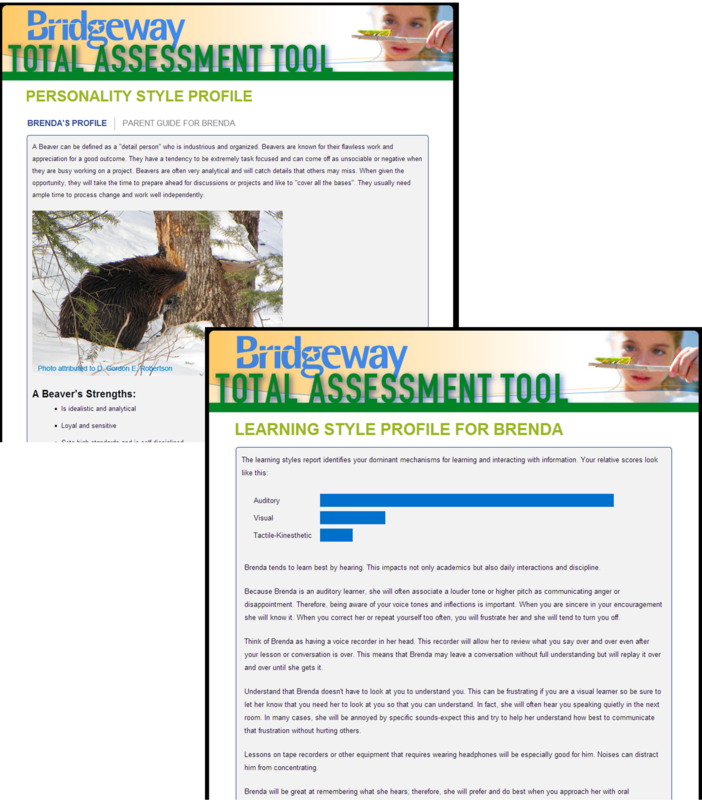 You can access and complete your Total Assessment Profile by logging into your BLC account and clicking on 'My Style'. Each family member who completes the assessment will receive customized reports. 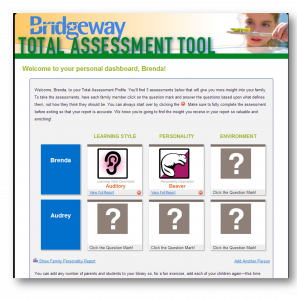 In addition, you will receive reports that analyze your family as a whole.